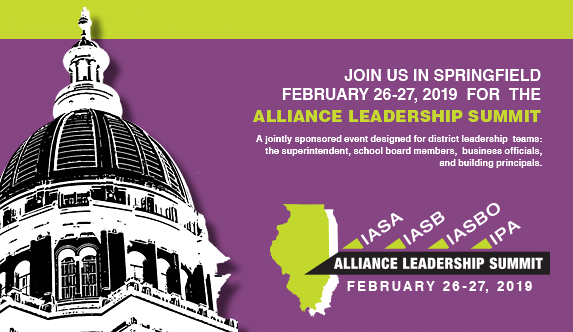 Registration is now open for the third biennial Alliance Leadership Summit scheduled for February 26-27, 2019 in Springfield. The Summit continues to be a perfect opportunity for superintendents, school board members, principals, school business officials and other stakeholders in public education to come together to learn, plan and engage legislators. 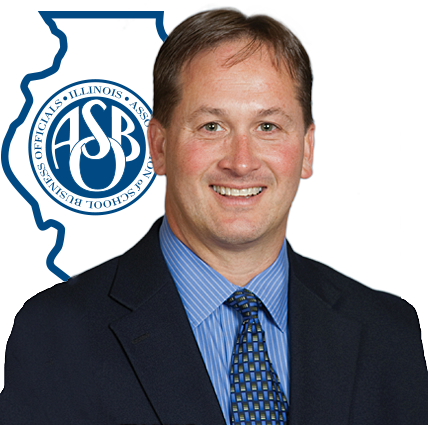 Illinois ASBO's Vision for Advocacy: Illinois ASBO will be the foremost knowledgeable voice for promoting sound school business practices to the Illinois Legislature, ISBE and other stakeholders. Our presence will be driven by the Illinois ASBO Board of Directors and executed by the Executive Director and supported by the Delegate Advisory Assembly, Lobbyists and Governmental Specialists who work collaboratively with the Alliance on a day-to-day basis to improve outcome for students. Advocacy will be achieved through proactive engagement with the Illinois Statewide School Management Alliance (Illinois ASBO, IPA, IASA and IASB), Vision 20/20, and other stakeholder groups. Illinois ASBO members will receive communications and updates. Learn more about Illinois ASBO's legislative body for issues of public policy and/or legislation involving resource management of education. Learn about how four Illinois associations have joined together to advocate for issues that matter to schools. These weekly reports are published when the legislature is in session to keep you up to date on what is happening in Springfield relevant to education.